We’ve been making some changes to our living space recently. We wanted to make full use of the living space we had and the current layout wasn’t doing that. Sofa’s and chairs have been moved around and we were interested to see what impact adding a kids bean bags would have on our room & lifestyle. The lovely people over at Bean Bag Bazaar very kindly sent us a gorgeous fluffy bean bag for the kids to try out. This particular bean bag is the ICON® Luxury Faux Fur Kids Classic Bean Bag and the quality really shows. At the moment Bean Bag Bazaar are running an offer where you can buy 2 of these fluffy bean bags and save £20, if you want to check it out. This kids bean bag is super fluffy and it’s just the right size for young children to sit on. Our girls are five and seven years old and sometimes they even manage to both sit on it, if they are in a sharing mood that is. There have also been some scuffles over the children’s bean bag which makes me think we actually need two to keep everyone happy. When they’re on the small bean bag they seem very happy and comfortable. 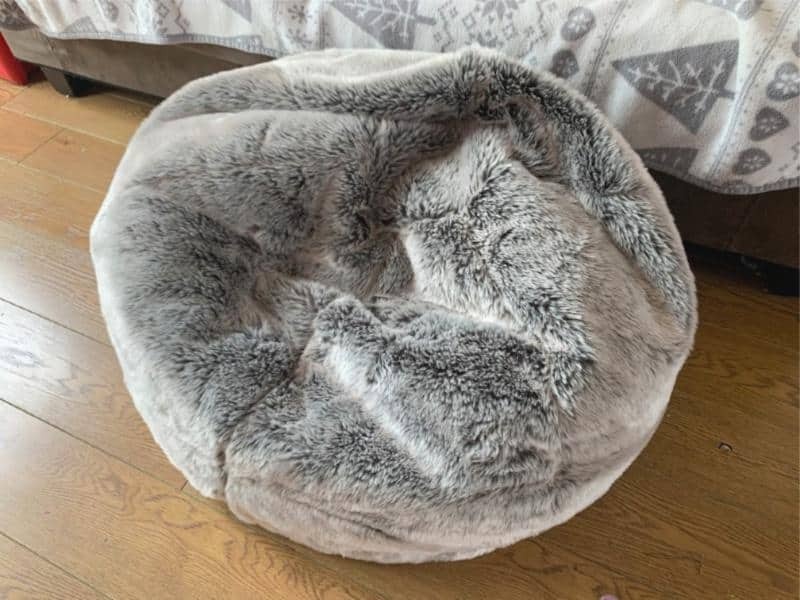 The faux fur bean bag quality is great and the zip is very secure. I’m pretty hopeful that we will not have a million polystyrene balls escaping over the wooden floor anytime soon, anyway. When the girls have gone to bed the grey bean bag is also the perfect size to use as a foot rest, which I personally love. The fluffy bean bag has proved to be the perfect cosy comfortable addition to our living space. We love the colour and the super luxurious feel of it. Both the girls love sitting on their new kids bean bag and we really happy with the overall quality of the product. The only negative I can find at this point is that we only have one! 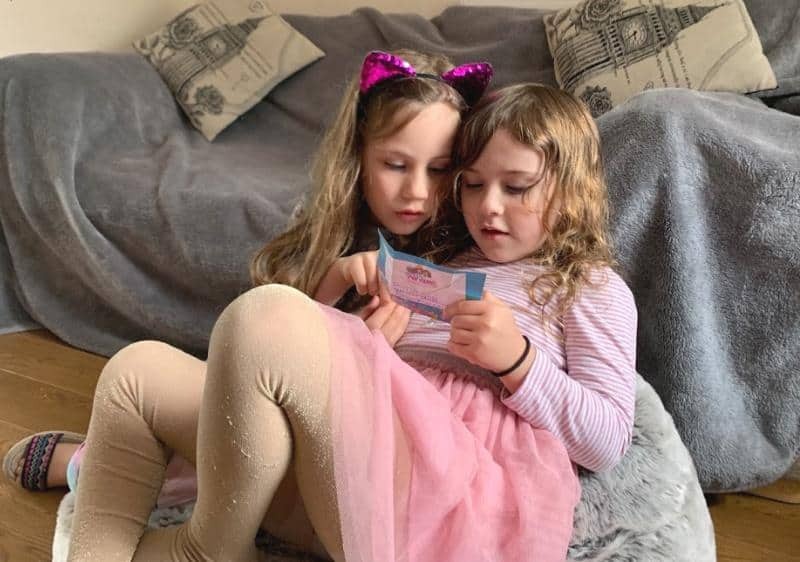 I suspect we will be buying another one soon so the girls can sit comfortably together on their children’s bean bags while reading books or watching their favourite TV show. 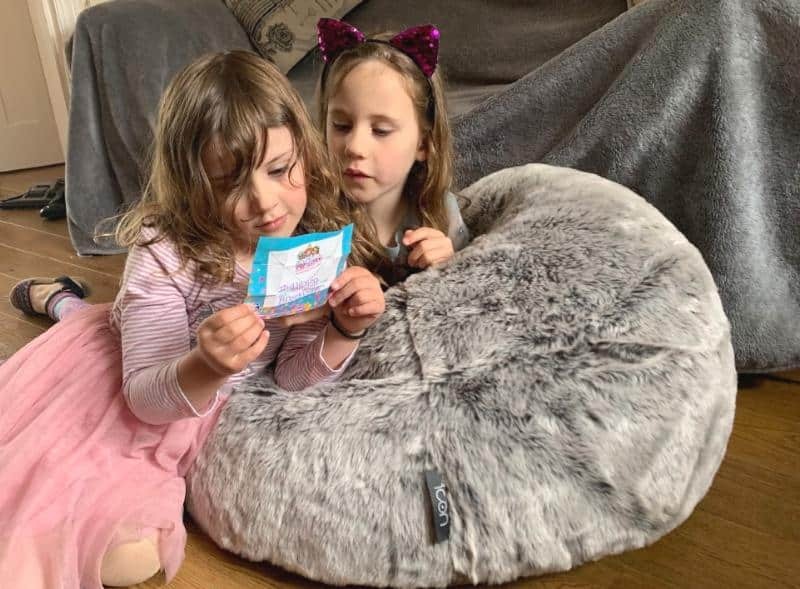 We have been so super impressed with the kids bean bag from bean bag bazaar that we are offering a fab new reader giveaway. 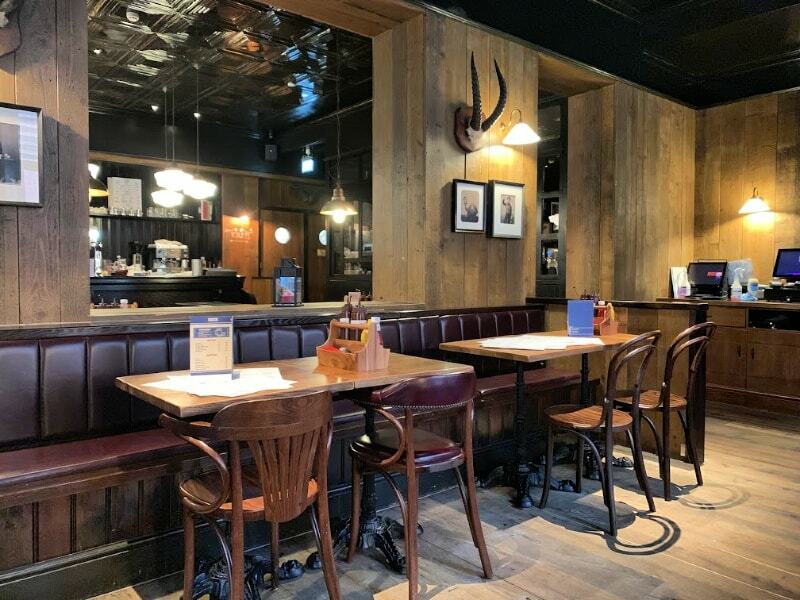 One lucky reader of Zena’s Suitcase could win a £75 voucher to spend at bean bag bazaar on this or any other bean bag that takes their fancy. If you visit the website they have a great range including giant bean bags and outdoor bean bags perfect for the summer. There’s a great selection of colours and fabrics too. All you need to do to enter this giveaway is complete the rafflecopter below. Competition ends 7/5/2019. Other terms and conditions apply. We were gifted the kids bean bag to be featured in this review, but all thoughts and opinions are my own. These keep popping up on my news feed – I’d love to curl up on one and read a book! The luxury faux fur kids bean bag would be perfect for my daughter’s room. Many thanks for this great review and giveaway. I would buy the Icon faux fur bean bag in Ostrich. milano velvet armchair looks very lush! I would love to own the Icon faux fur bean bag in Ostrich! I love the ICON™ Oria Bean Bag Armchair. All of them! OK, I would put the credit towards the gorgeous ICON™ Soho Spikey Bean Bag Faux Fur, Cream. I’d put it towards an ICON® Milano Velvet Armchair Beanbag. My favourite is the Milano velvet one. I’d love to use it to buy the lovely XXL Bean Bags ‘MAN SIZE’ Faux Leather. Would match our sofa and chairs too. I would buy the Teen Bean Bag Chair, Indoor & Outdoor. The Milano Velvet is gorgeous in Teal! My whole family would love the i-ex gaming chair! I would put it towards a ICON™ Kenai Faux Fur Bean Bag. I would treat myself to new art supplies for oil painting. I would love new accessories for my instant pot which is the best invention ever. That’s what I plan to do if I win. I really like the ICON Milano Velvet Armchair Beanbag. It looks so comfy! I’m torn between the gaming beanbag and the velvet Milano beanbag, probably the former is more use for my son. My favourite is the ICON Kenai Faux Fur Bean Bag, Arctic Wolf. although there’s many more I’d love too. Ooh I really like the velvets, so I’d choose the ICON® Milano Velvet Armchair Beanbag and maybe a matching footstool too. The Icon Ostrich faux fur beanbag. I would love one of the indoor – outdoor beanbags so we could have it in the garden during summer months. I absolutely love the Kenai Faux Fur Bean Bag, Arctic Wolf! ICON™ Oria Bean Bag Armchair. I’d probably get the ICON™ Luxury Faux Fur Classic Bean Bag, Ostrich. I would get the ICON Yeti Faux Mongolian Fur Classic Beanbag, Ghost Grey! The Icon Faux Fur Bean Bag Bavarian Wolf. The ICON™ Kenai Cloud Two-seater Faux Fur Bean Bag, Arctic Wolf would be perfect for my stepson’s gaming room! Just what we were looking for! Would be fab to win the voucher to use towards it! I love the comfortable look of the milano velvet bean bags. Oh yes, the icon dream lounger is the one I’ve go my eye on!! I love the Icon Kenai faux fur bean bag in Arctic Wolf! I would opt for the ICON transform one, not sure which pattern or color. ICON™ Faux Fur Bean Bag, Bavarian Wolf – with a FREE throw! I will put my voucher towards the ICON™ Faux Fur Dream Lounger. If I won, without a doubt I’d go for ICON® Milano Velvet Armchair Beanbag in champagne! Id get the bambeano baby bean bag or one of the outdoor ones! they all look amazing and comfy!! i’d probably put the voucher towards buying the ICON™ Cloud Two-Seater Faux Fur Bean Bag, Brown Bear – looks great! I would choose an Icon ostrich bean bag – it looks divine! I think I’d put it towards a Bazaar Bag® Indoor & Outdoor Giant Bean Bags. They’re so versatile and would be great for the kids.